As we attempt to reduce the cost of medical care and limit the side effects of medications and the development of antibiotic resistance, the issue of penicillin allergy has taken on increased importance. Penicillin and its derivatives, such as amoxicillin, are very old antibiotics. They were discovered by Alexander Fleming in 1928 in London. 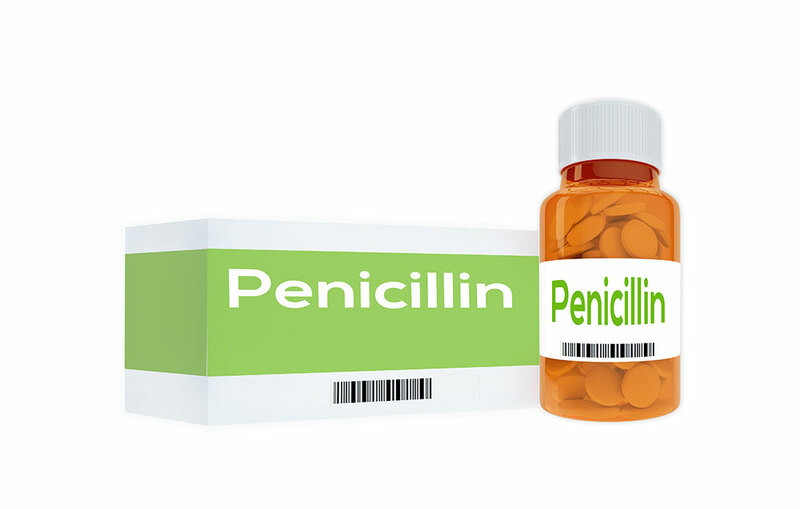 Despite their age, penicillins are still a very important class of antibiotics in our continuing struggle against bacterial infections. They are also relatively inexpensive. Partly because they have been around for so long, many people report that they are allergic to penicillins. About 10% of Americans report being allergic to penicillins. But several recent studies show that 90% of the people who think they are allergic to penicillins are actually not allergic. Even if a patient was truly allergic to penicillin at some point in their life, after 10 years, 80% of those individuals are no longer allergic – they have essentially outgrown the allergy. It is rarely a life-long allergy. Shenoy ES, Macy E, Rowe T, Blumenthal KG. Evaluation and Management of Penicillin Allergy: A Review [published January 15, 2019]. JAMA. 2019;321(2):188-199. Rubin R. Overdiagnosis of Penicillin Allergy Leads to Costly, Inappropriate Treatment [published November 13, 2018]. JAMA. 2018;320(18):1846-1848.